just to be sure how far I need to tighten the nut. As it squeeze the gear, bearing and collar together. I turned it to the maximum, and returned it 2 slots. Now there's no axial movement possible. Sorry, Mathias. Now understand which nut you are referring to. 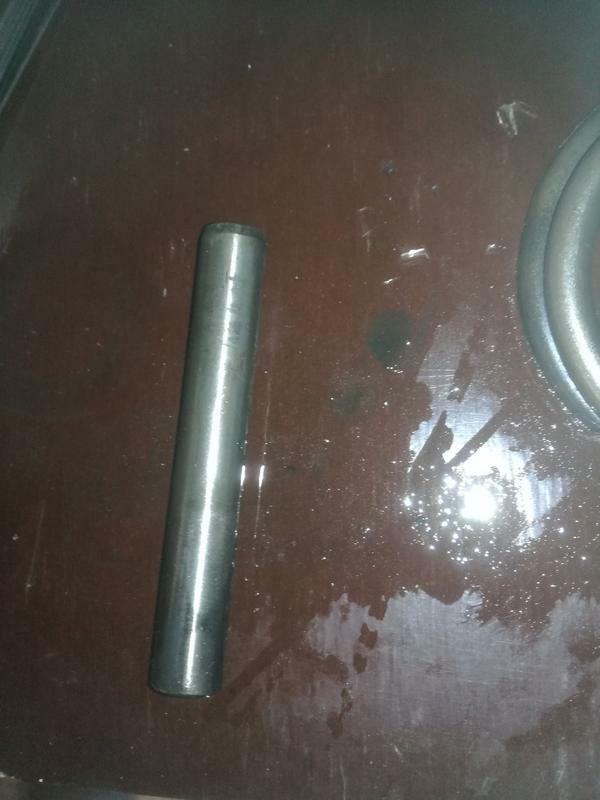 The ring nut that adjusts the end float on the shaft. On mine I tightened it until I felt resistance, then slackened it a quarter/half turn until the resistance disappeared but without introducing any discernible end float. 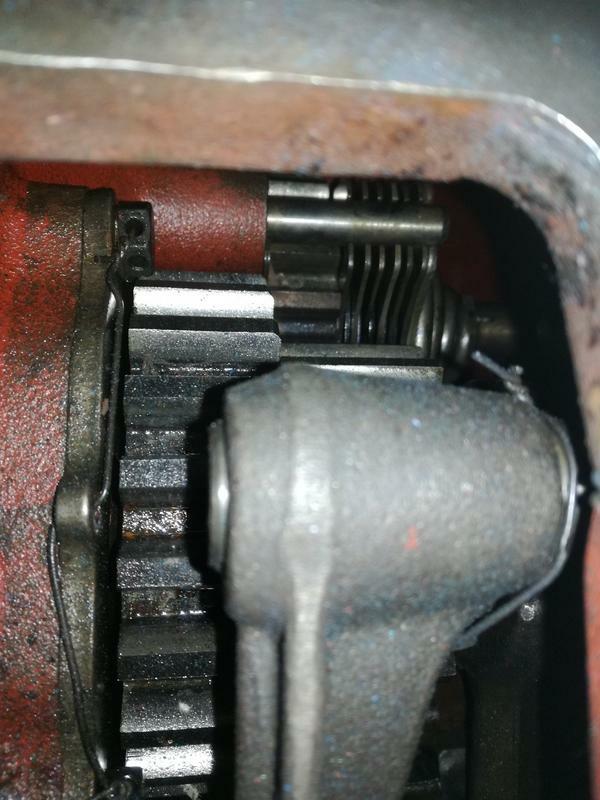 To test the end float, you'll have to do this adjustment when you have replaced the primary gearbox. Cleanliness is key, as you obviously know. It's a bit of a chore degreasing and cleaning relatively large components, but when it comes to the repair and reassembly stages, you realise why all the cleaning was necessary. I'm excited for you. You are about to reassemble, which is always the best bit! 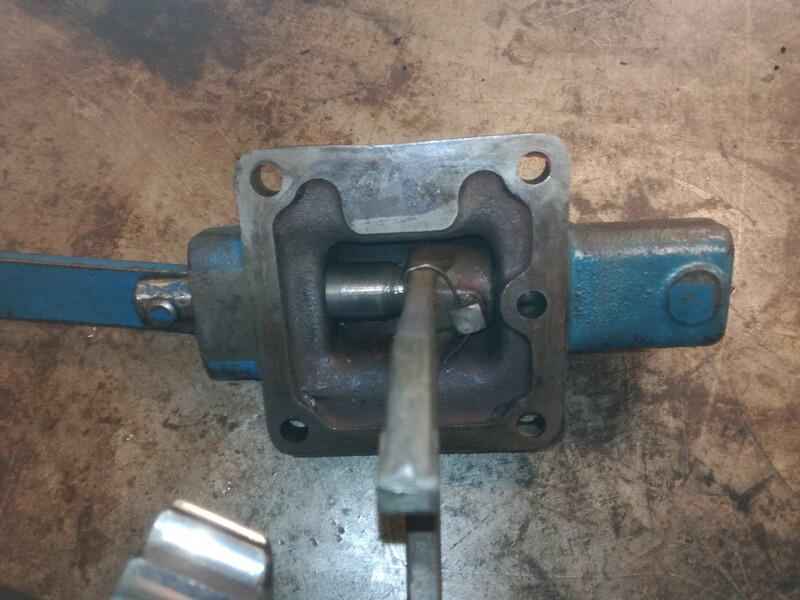 Did you manage to source the double lip seal for the PTO housing? I have checked my notes and I can't find a record of the seal details. A quick measure-up of the shaft and housing will give you the dimensions you need. You've got a few gaskets to make: PTO housing to gearbox interface; PTO selector fork assembly; PTO housing end cap; primary gearbox housing to gearbox interface. You'll also need the gasket that seals the union of the gearbox and rear axle housing, but this gasket is available to buy. I used Wellseal to mate all these seals. 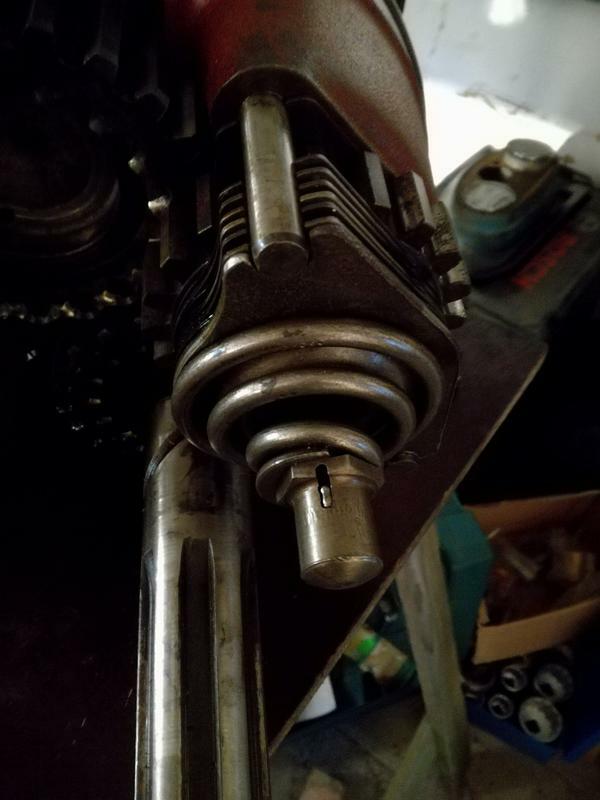 When reinserting the primary gearbox into the gearbox housing I made some dowels - buy four bolts, remove the heads and cut a slot for a screwdriver. The dowels allow the mating surfaces to come together in the correct alignment - with the Wellseal and gasket in place there is no room for correcting any misalignment without ending up with a sticky mess! I recommend photographing everything for posterity. Thanks to your intervention, your tractor is going to live on. It will be useful in the future for people to know what you have done, seeing as you are correcting issues that all Majors are prone to and which, when dealt with, almost certainly won't need looking at again in the lifetime of the current owner. More photos for us onlookers would be a good reason for taking them too! ps There is a small lip seal in the selector fork housing. Good idea to replace this now. The double lip is available at some places. I ordered this at a QTP dealer. the reference for this seal is Sparex S65681. 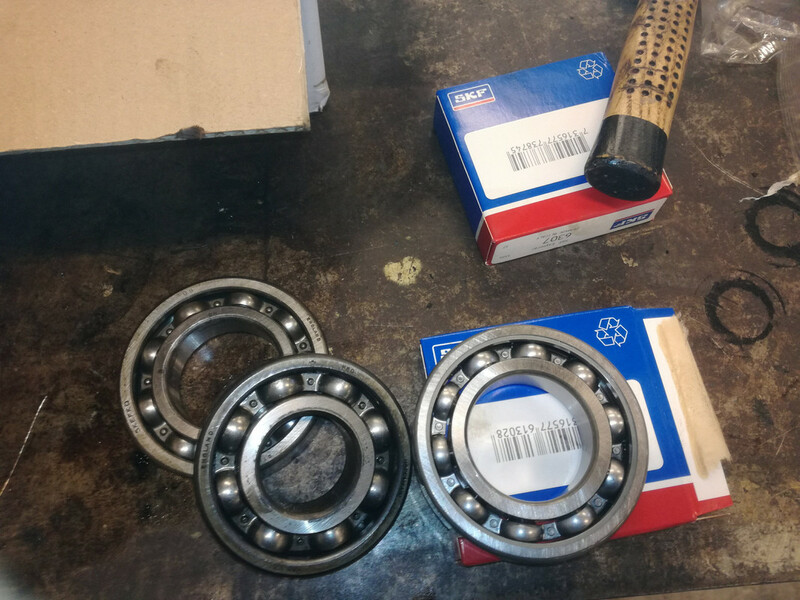 It's always good to measure before buying the seals, as for the PTO-shaft there are different seals available. 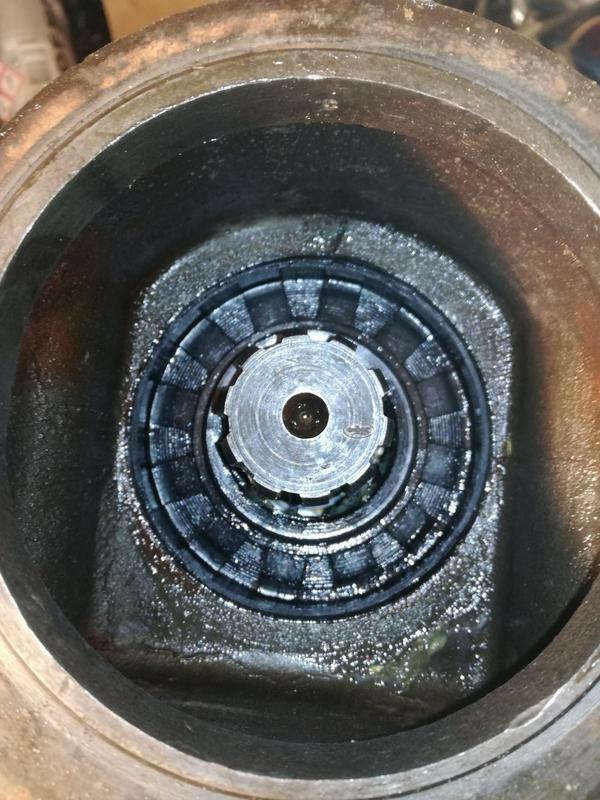 As I cleaned the bearings of the PTO box, I found out one of the bearings didn't sound well. So a new one is on the way. I will do all gaskets with an instant gasket kit, it's not like original, but easier and faster. 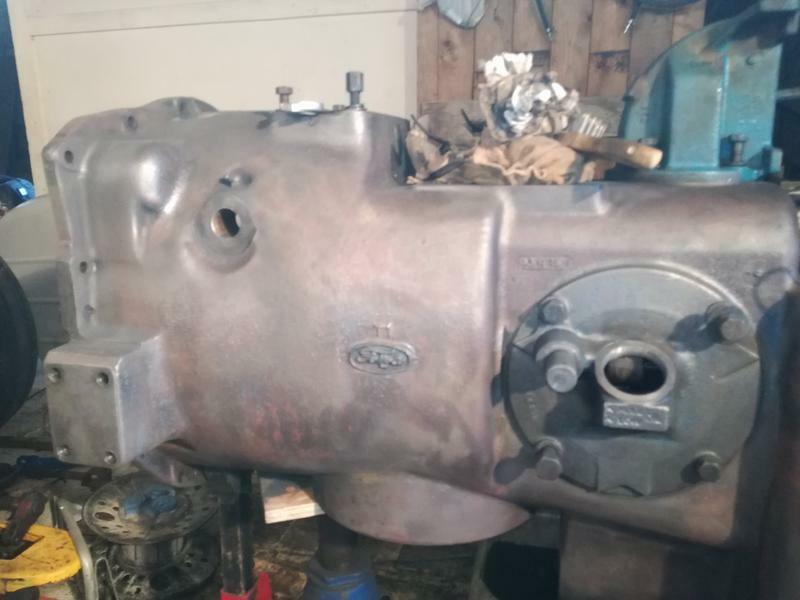 I may be able to find a gearbox transmission soon, so it would be a nice addition to the tractor. If the weather get's better, I may do some painting on the rear end. Anyway I want it back together soon, so I can start ploughing again. O, and thanks for the tip to reassemble the primary gearbox without making a mess! More pictures will come, as process is made. Well done indeed, Mathias. In an earlier post I remarked that you don't give up, and you didn't. I forgot to mention the brake/clutch pedal shaft seals, but you are ahead of me there! Basically, when you've reduced everything to the smallest possible components, replace anything that's wearable, even if it's not worn (excepting bearings, unless they're busted/graunching). You do realise that, with all this good work, you are setting yourself up for another job - an engine rebuild! Everything from the engine backwards is now bombproof. 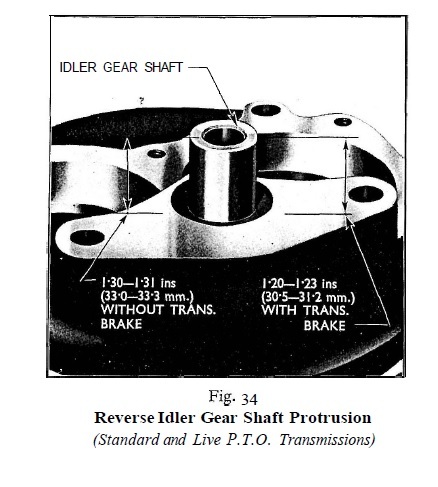 When you mention 'gearbox transmission', do you mean the transmission brake assembly? I believe tractors exported from the UK didn't always have a transmission brake. 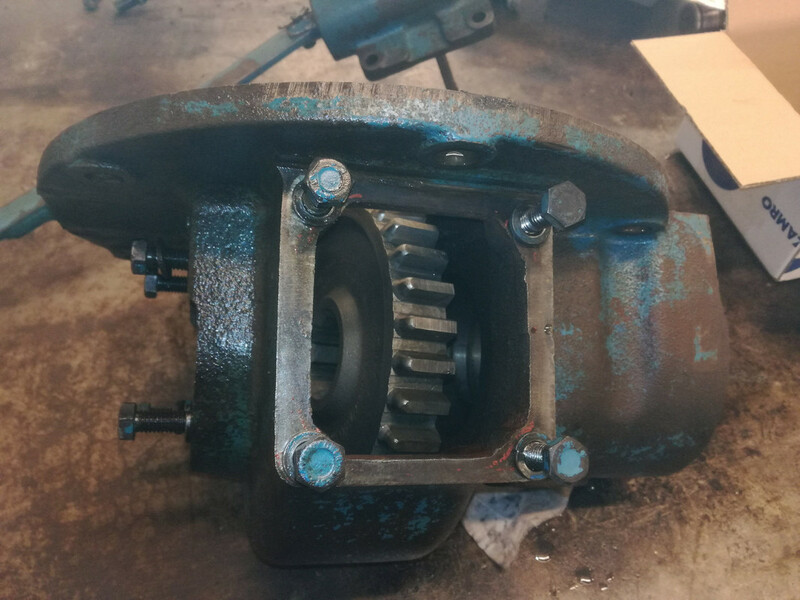 The photo you took of the primary gearbox is from the wrong angle to show where the transmission brake assembly would sit. Could you take another photo from a different angle to show us what you have? I'm in need of the 2 studs, the bolt, plates, spring and maybe also the gear. And also the outgoing shaft with the handbrake lever. Last edited by mathias1 on Sun Apr 22, 2018 12:25 pm, edited 1 time in total. You've got the gear. I was interested to see if they bothered to bore and tap the holes for the two posts that hold the plates. They did. Nice project to install the brake. You'll have to drill out the blank in the gearbox housing. Are the two holes for the brake lever quadrant bored and tapped? Never seen one of these tractors and haven't got any books to hand. AdrianNPMajor wrote: You've got the gear. I was interested to see if they bothered to bore and tap the holes for the two posts that hold the plates. They did. Making little progress right now. The holes are drilled and I did find thread in it after cleaning the dirt out of it. For the shaft I do have to take out a plug. I'm currently looking at a handbrake of a non super major. My parts book tells me only the handlever changed a little bit and also the posts that hold the plates. Would this be a problem? I don't know, so can't advise, but I doubt there was any significant change between the different models. Other members will know more. 0.025 in. (0.25 to 0.64 mm.). This means I will have to knock down the shaft a few mm. This is all adjustment that needs to be made? Any idea how to remove the 2 posts? are they fixed somewhere? Last edited by mathias1 on Sun Apr 22, 2018 12:26 pm, edited 1 time in total. 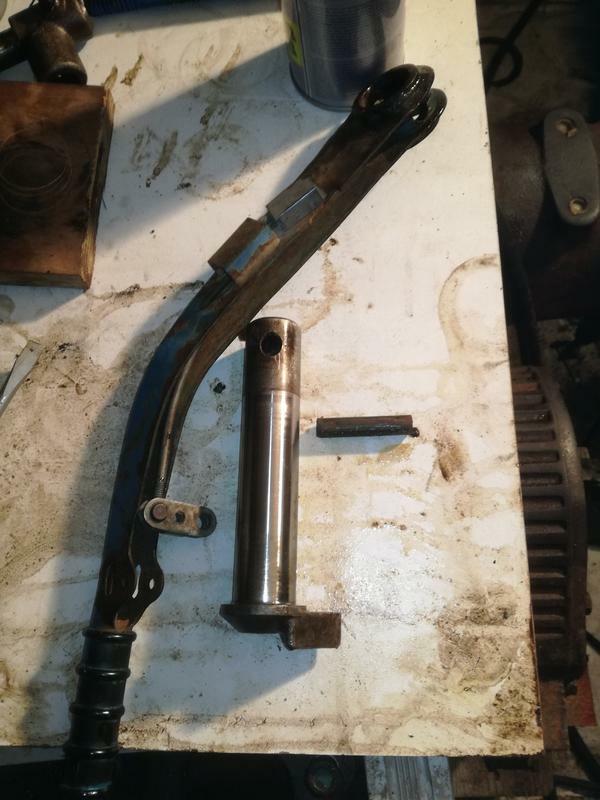 Re the posts, I didn't disassemble my handbrake assembly, but the posts must be threaded. I think this is shown in the parts diagram you have posted (sorry, I don't have my books by me). You have reached a point where most of us haven't been, so it would be good to see photos of the details. I've got the handbrake transferred to the gearbox. All looks well. Will upload some pictures tomorrow. I'm just a little confused about the PTO seal at the rear of the tractor. Which size do I need? I found a double seal with RIB3508 on it. It's a single lip seal. Apologies again, I didn't record details of the seal. I measure then source the seal, and not necessarily from a tractor website. It's definitely available. Just posting this image for anyone finding this thread who might be looking for info. How did you access the old seal, Mathias? 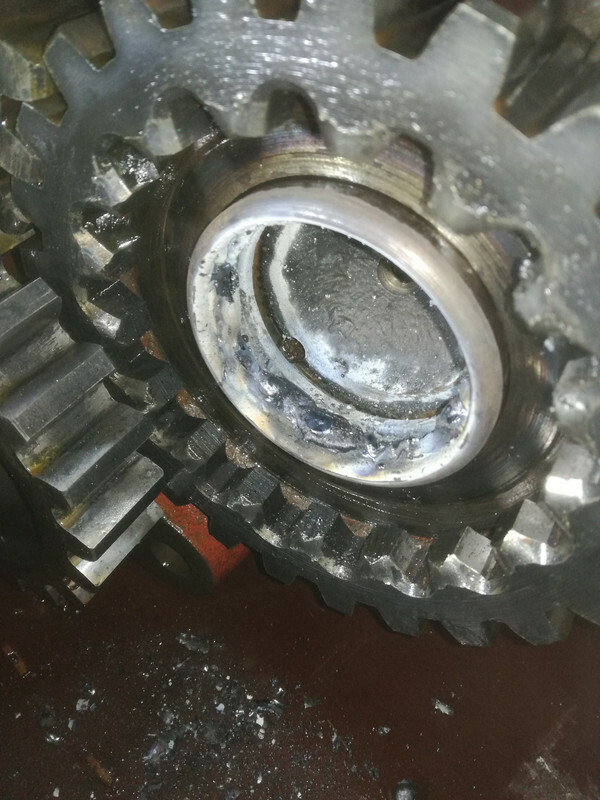 My approach was to remove the outer circlip that retains the drive gear, tap the drive gear off its seat and key, so as then to have free access to the circlip that sits inside the casting. Removing this second circlip allows you to tap the casting off the bearing, thereby revealing the seal. Looking forward to seeing photos of your work, especially those of the handbrake installation. The studs can be hammered out using a bended bar. I used a piece of rebar. Didn't remove the gear to get the pto end seal out, I got the circlips out with a screwdriver. Aha! So the posts weren't threaded. Wouldn't have guessed that ..... and I didn't guess that! Well done. Great work. Methodical. 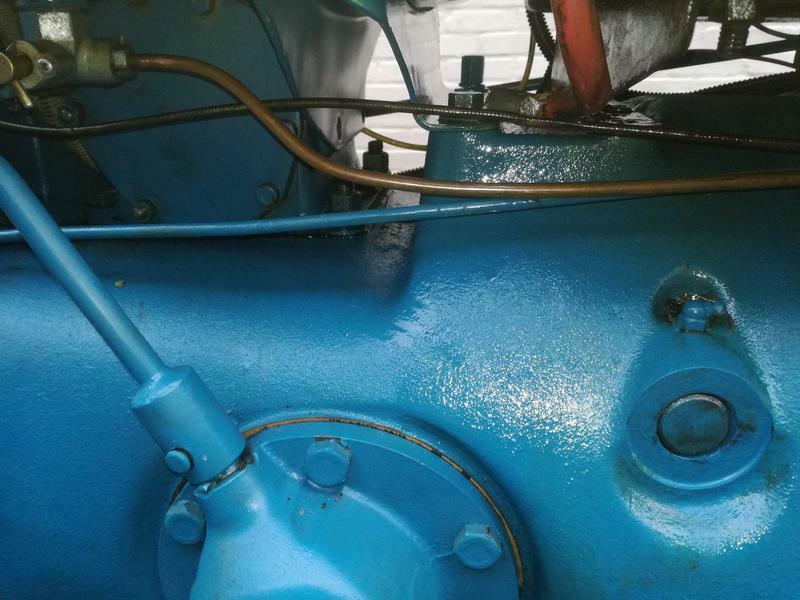 Last weekend I reinstalled the primary gearbox. I haven't fixed the ingoing shaft yet. I will need it soon to install the clutch. Still need to find a way to clean the clutch completely on the inside, as it's a little bit greasy. Last edited by mathias1 on Sun Apr 22, 2018 12:27 pm, edited 1 time in total. After some ploughing work today, all seals did hold the fresh oil. No leak at the pulley, also no free wheeling (put 2 thick gaskets in there). 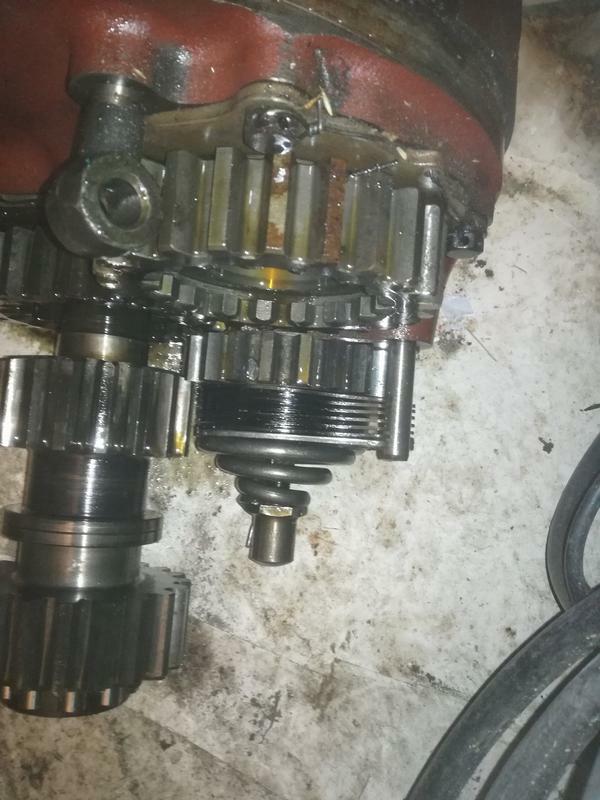 The gearbox oil did stay on level, but did get very hot in about an hour driving. 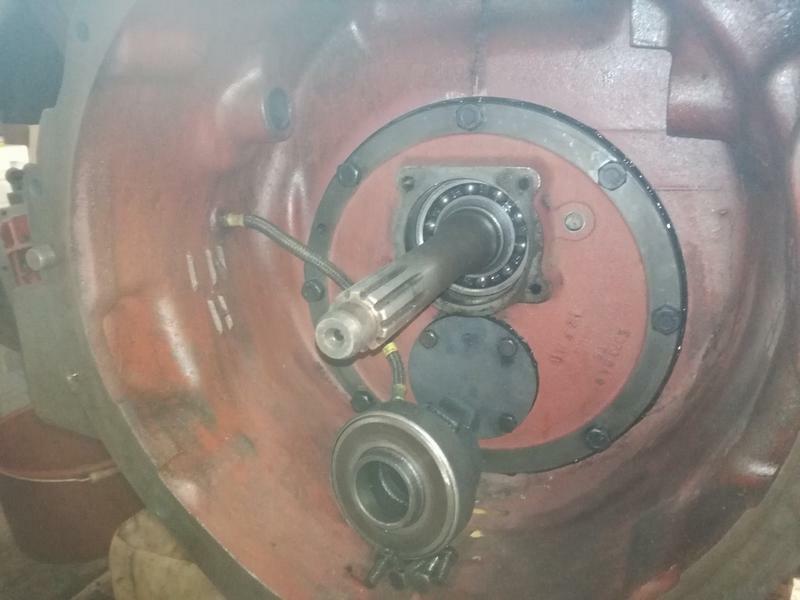 You barely couldn't touch the gearbox housing. 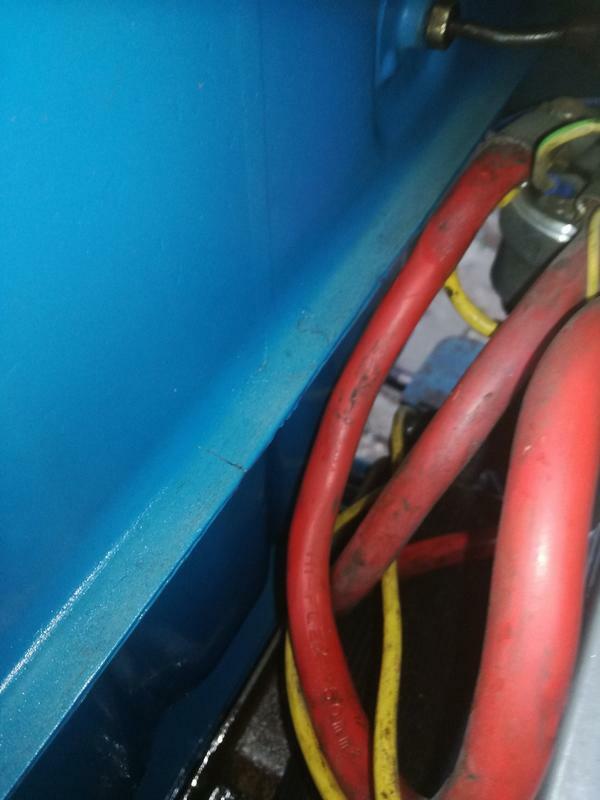 I also got suddenly a leak at the fuel tank, I will try to fix it with the loctite 2K stuff. 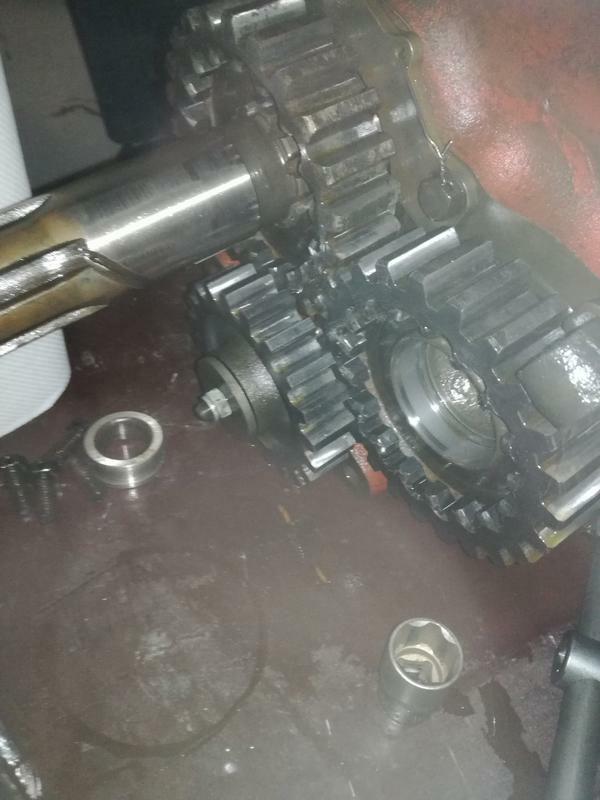 The energy of the spinning gears coming up against the viscosity of the gearbox oil = heat. You'd have to worry if the gearbox wall wasn't hot after an hour of hard work! Well done indeed Mathias for a thorough job. You tackled some difficult issues.